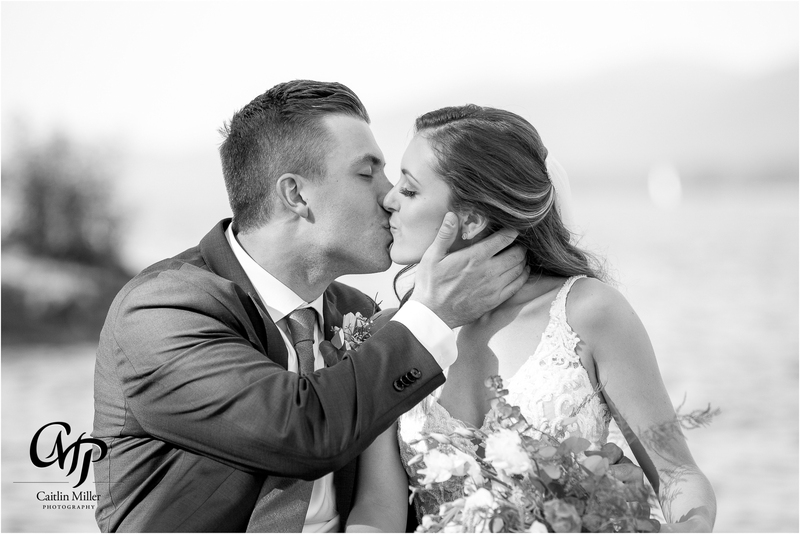 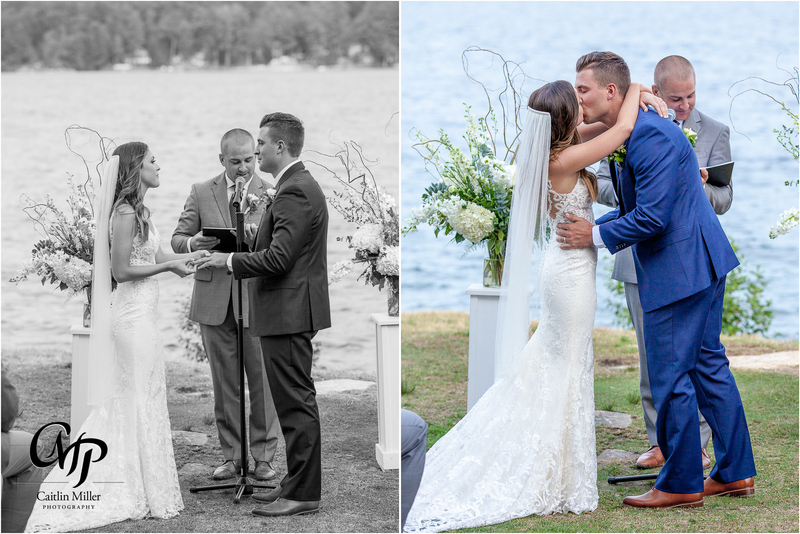 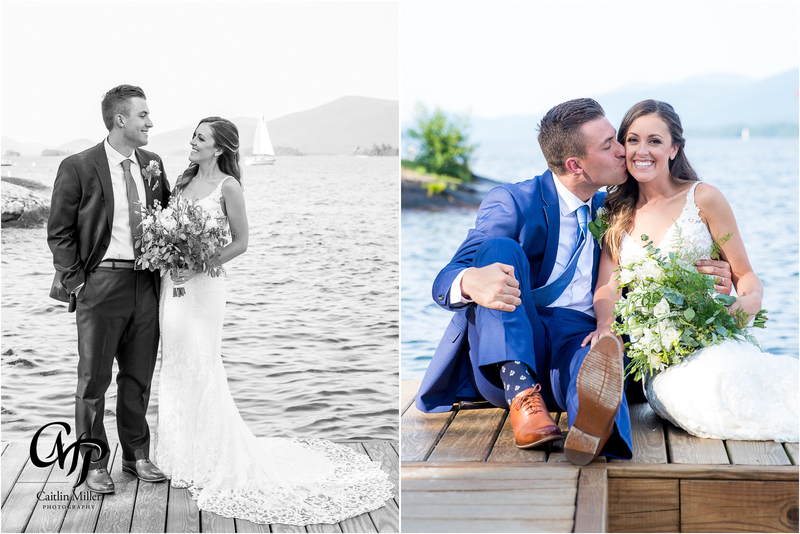 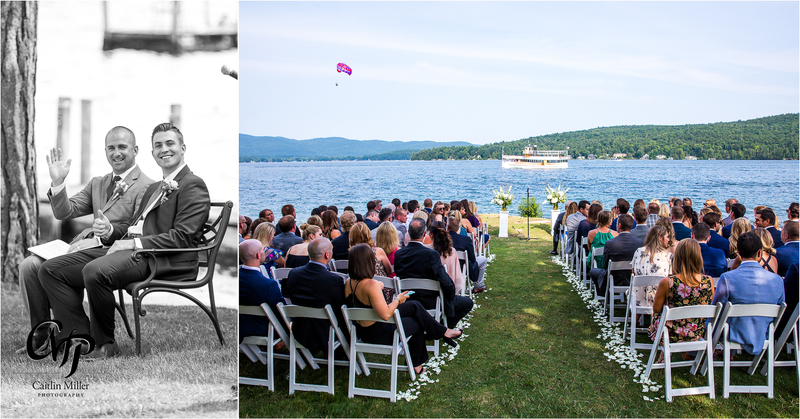 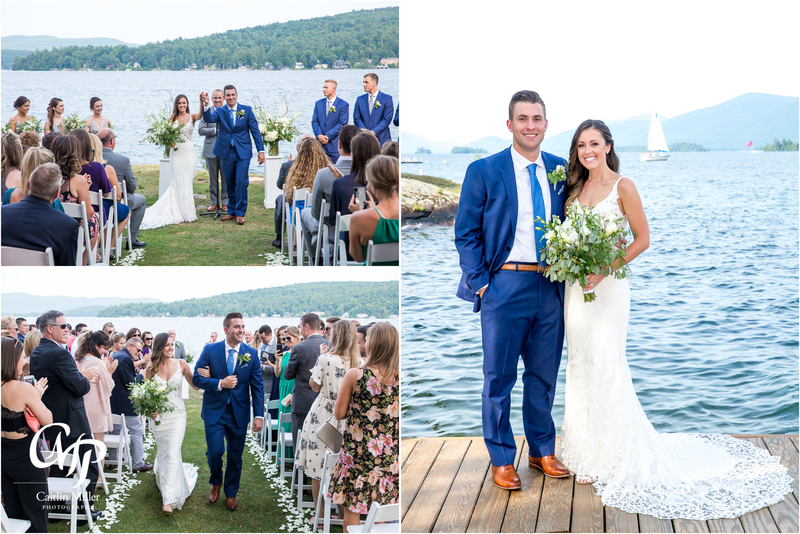 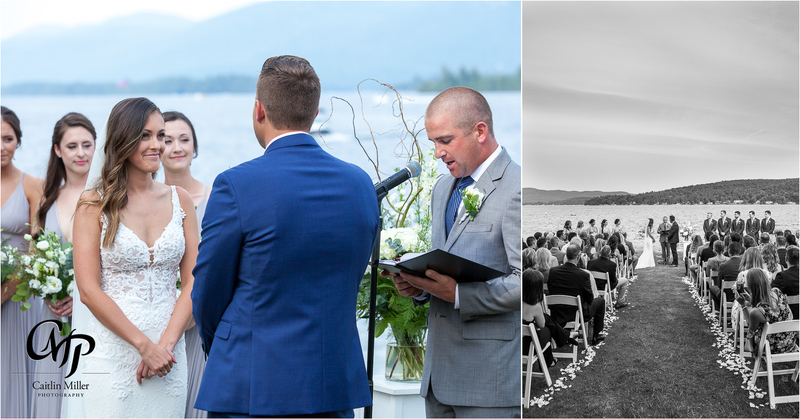 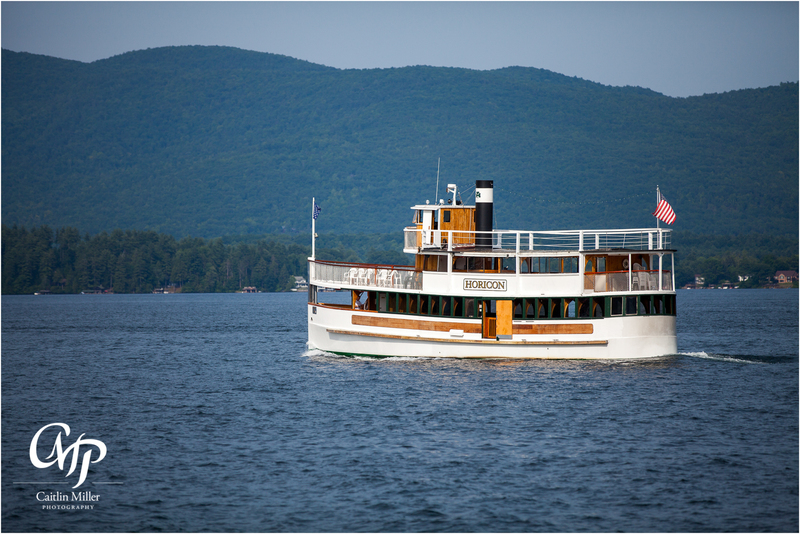 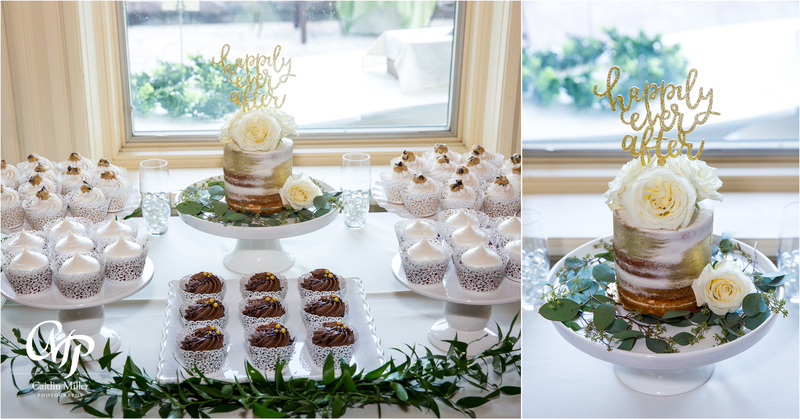 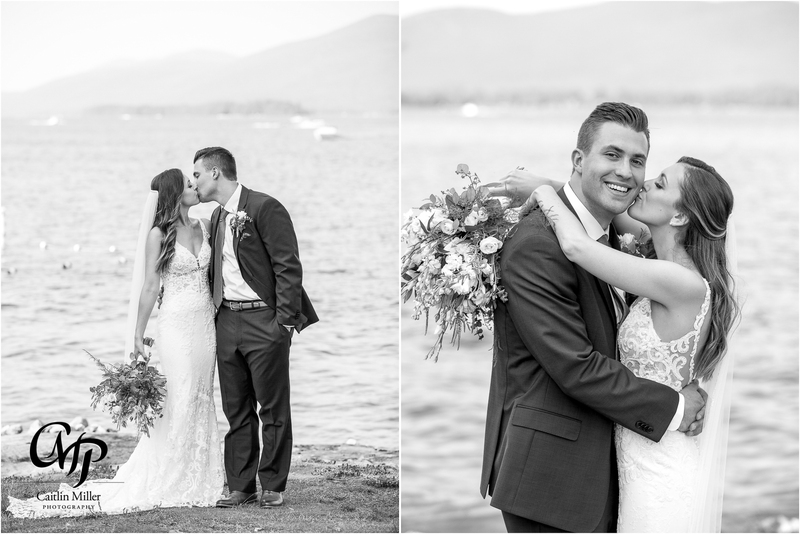 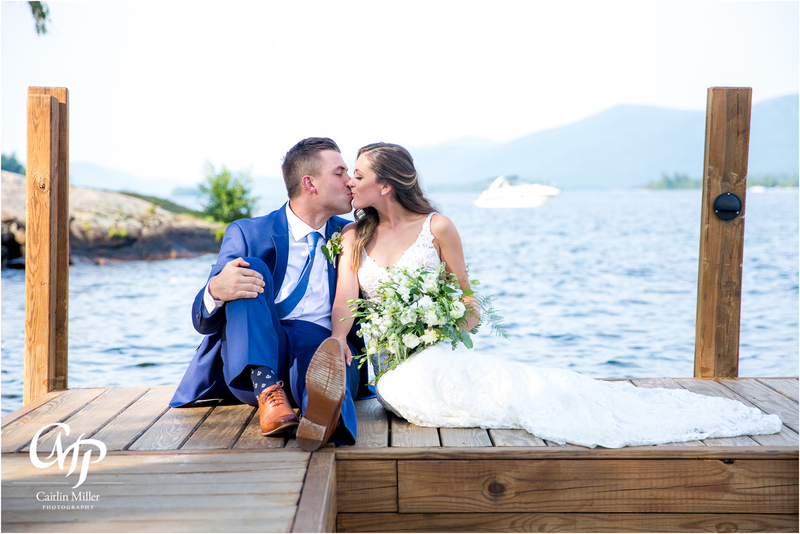 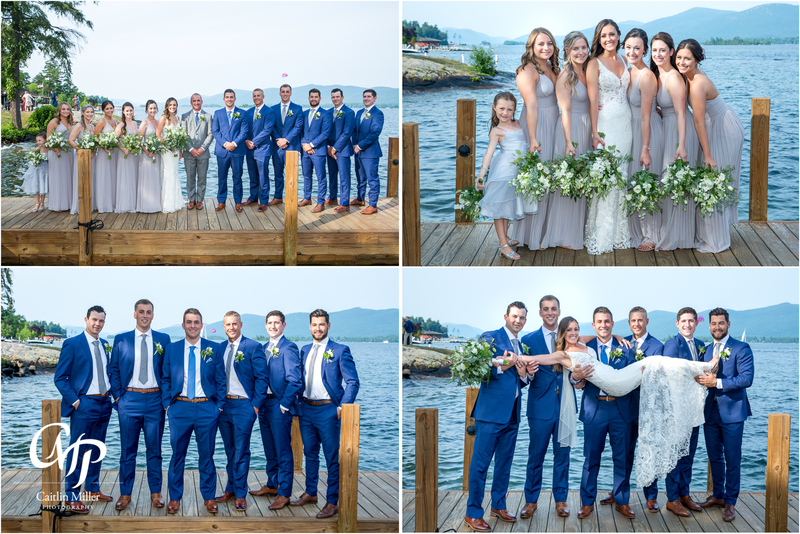 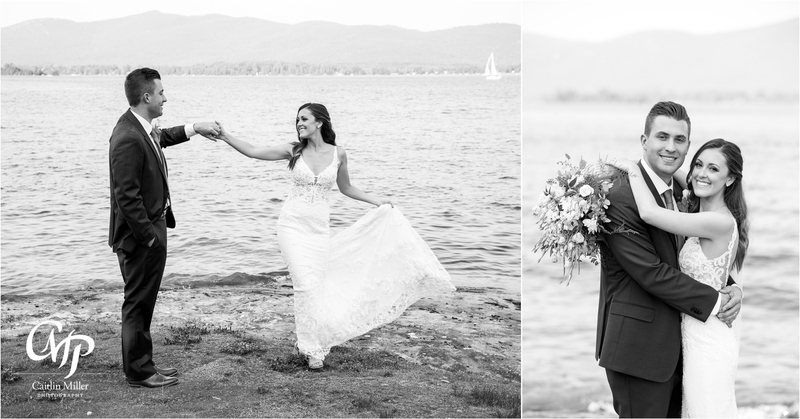 Devan and Cole’s wedding day began on a sunny, beautiful day at the Inn at Erlowest on Lake George. 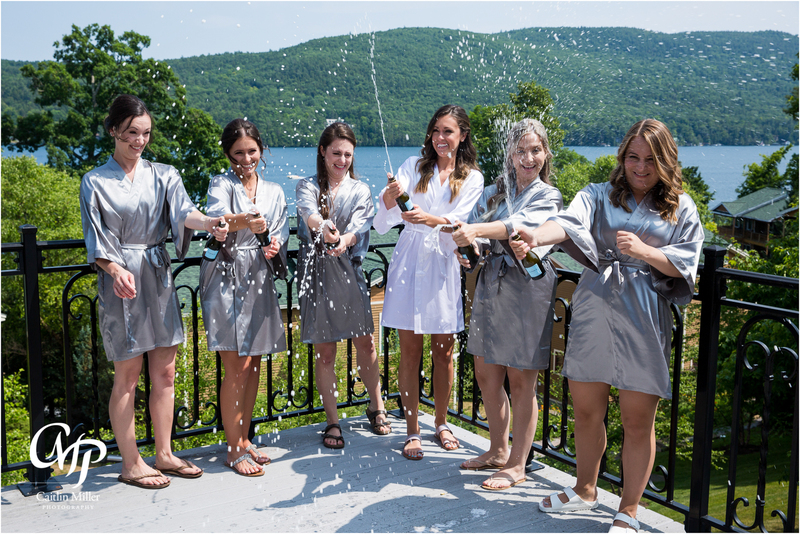 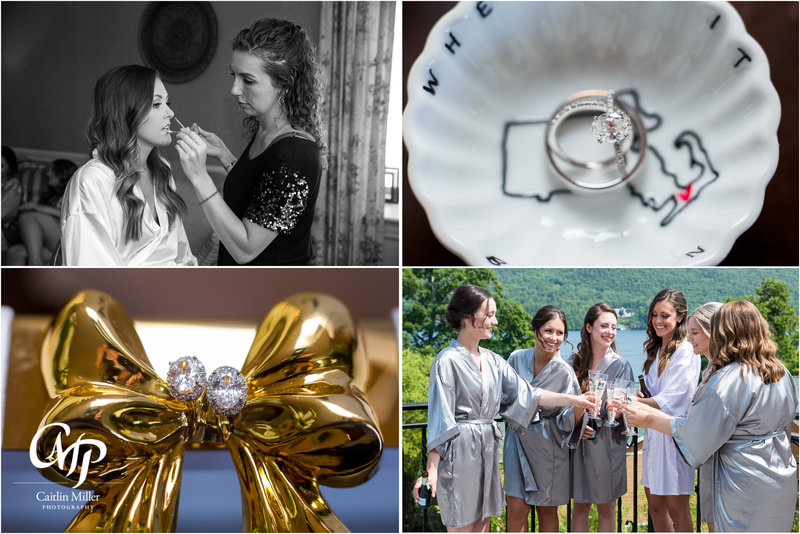 Devan and the bridesmaids shared champagne as they got ready in the Erlowest suites, while Cole and the groomsmen donned jackets and ties nearby. 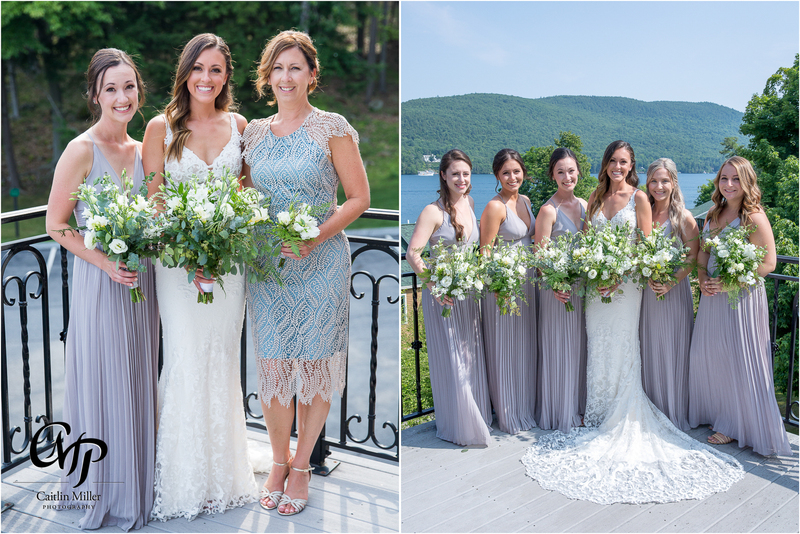 Devan slipped into her stunning lace wedding gown and took fun formals with her bridesmaids and sister Ellen (a formal bride of mine!) 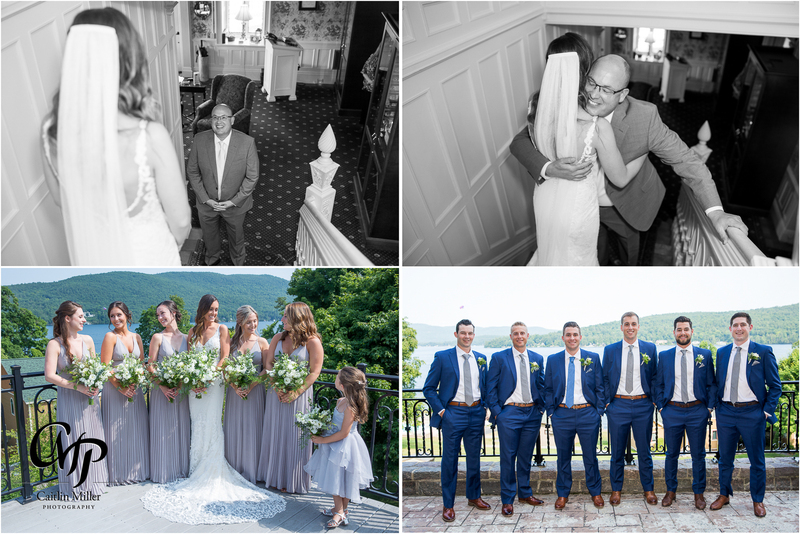 before heading to Erlowest’s North Point for the ceremony. 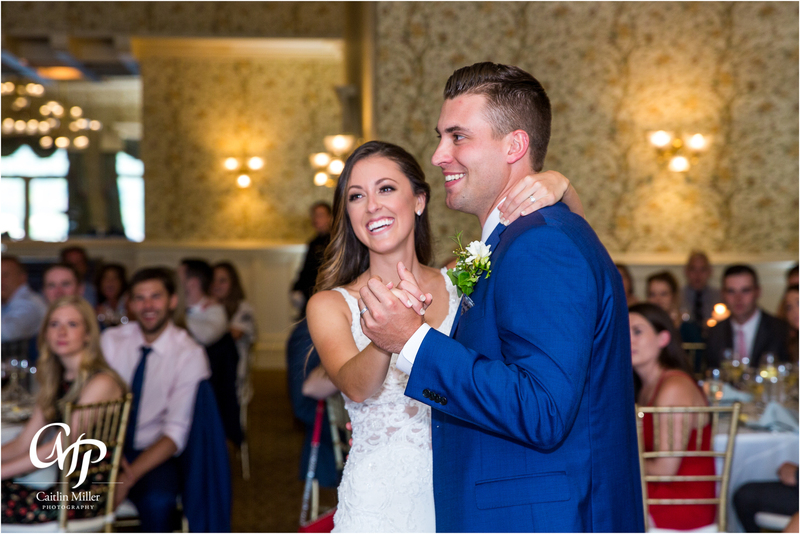 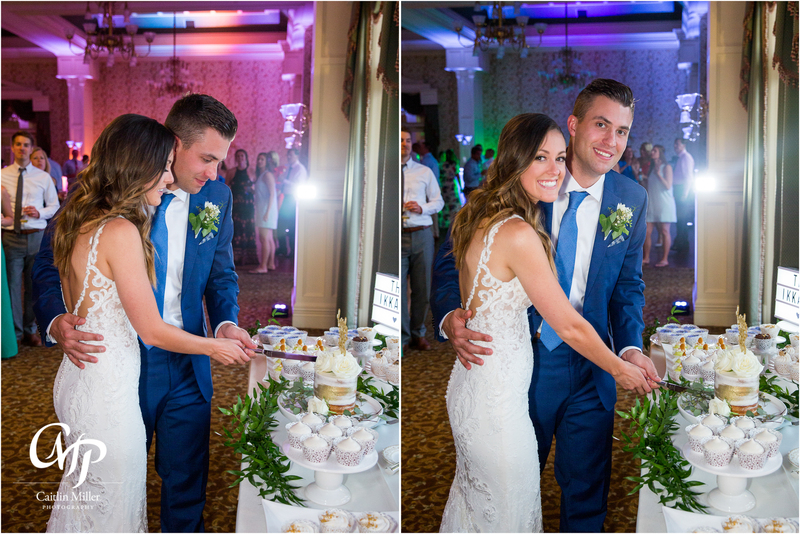 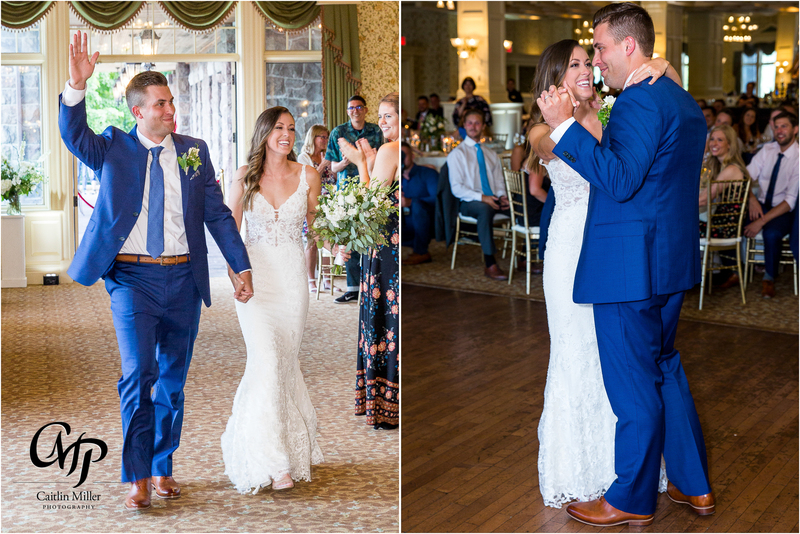 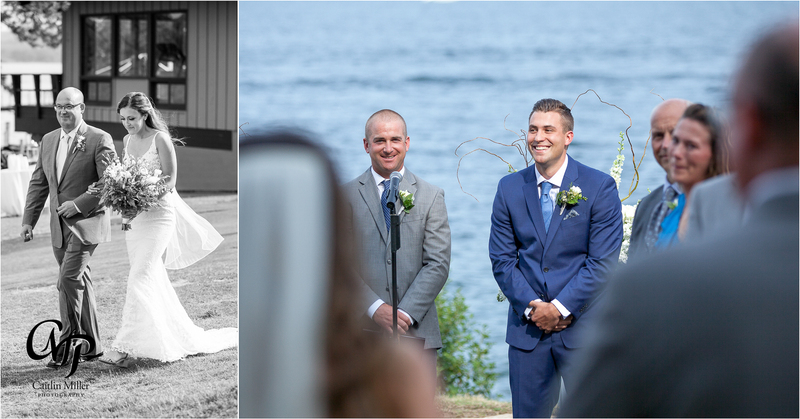 Cole was all smiles as his bride walked down the aisle and the couple shared a sweet ceremony led by Devan’s brother-in-law Jake. 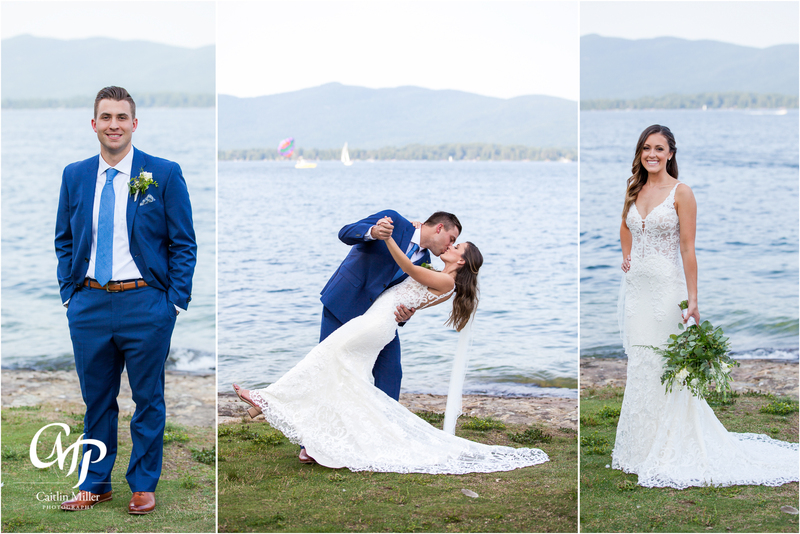 Following the ceremony, the newlyweds enjoyed the nice weather on the docks and took formal photos before dancing their way into Erlowest’s grand ballroom for their reception. 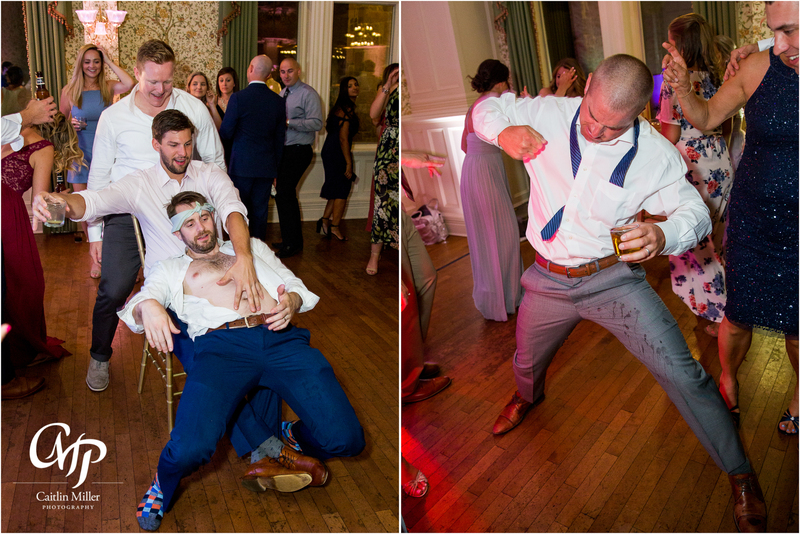 And boy did this group know how to party! 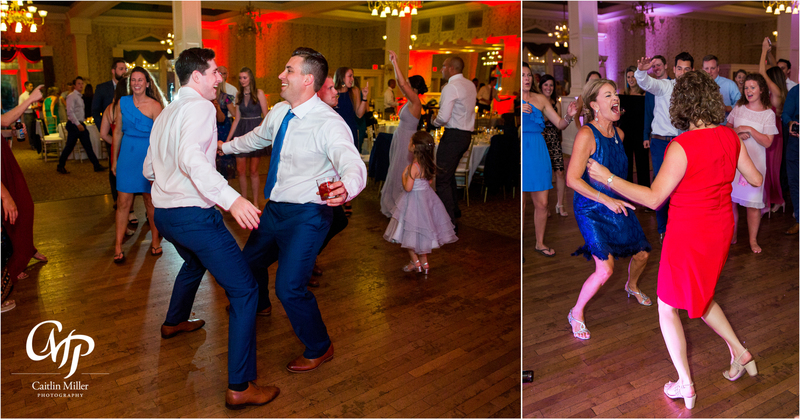 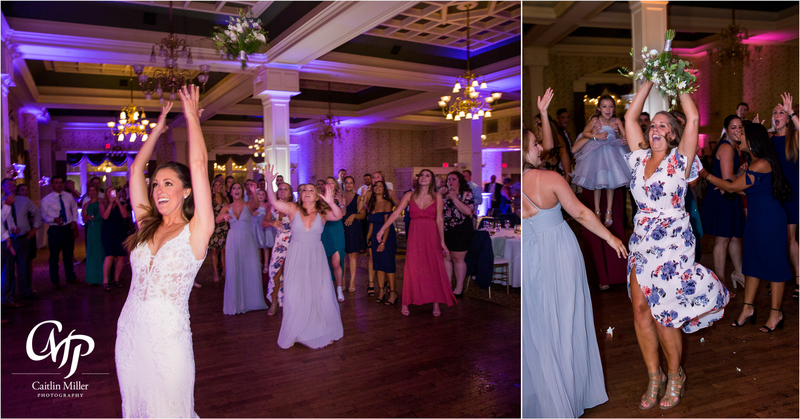 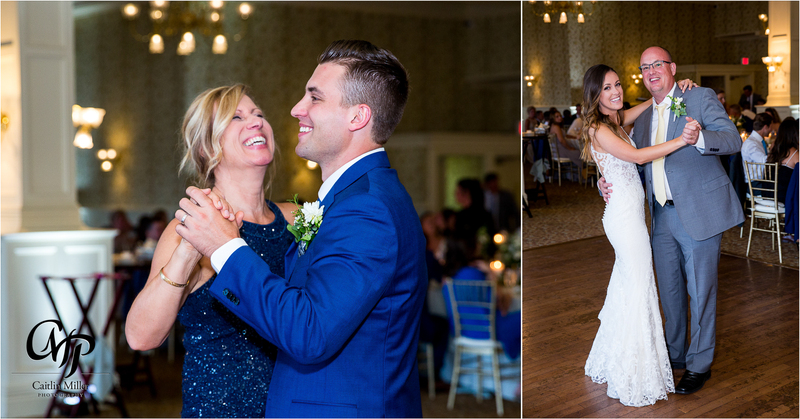 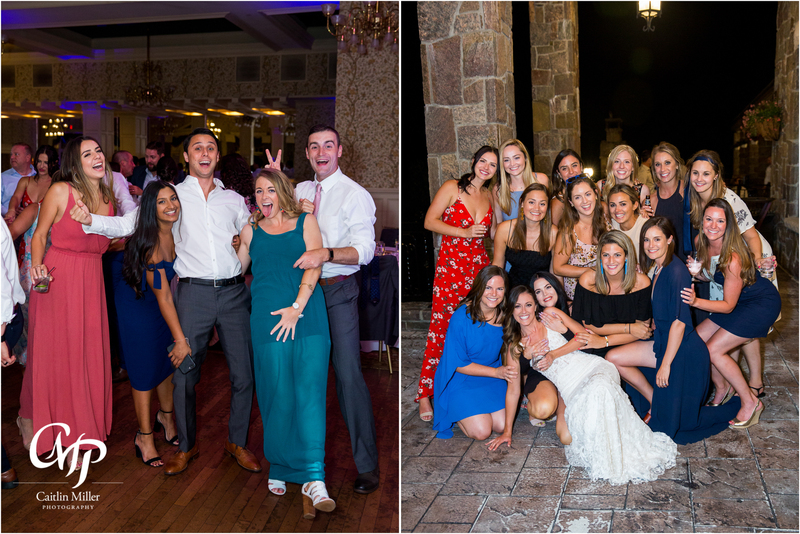 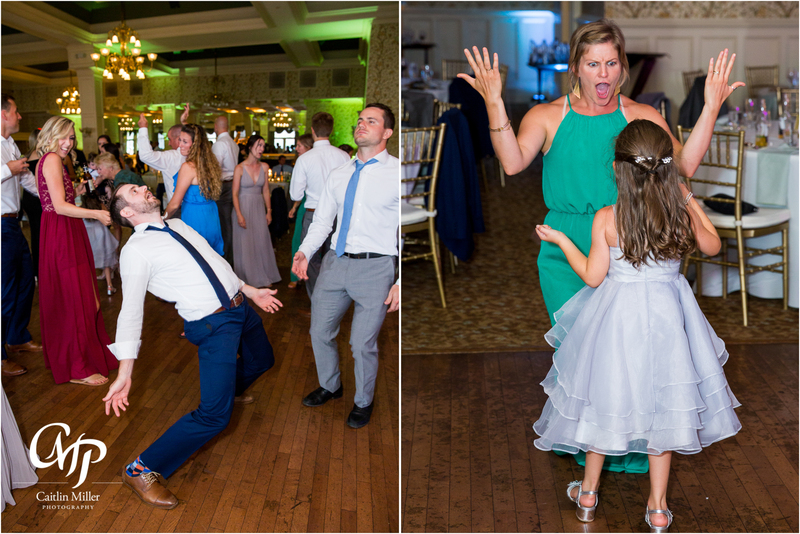 DJ Mike Garrasi from Music Man Entertainment kept the dance floor rocking all night long and these guests did not disappoint! 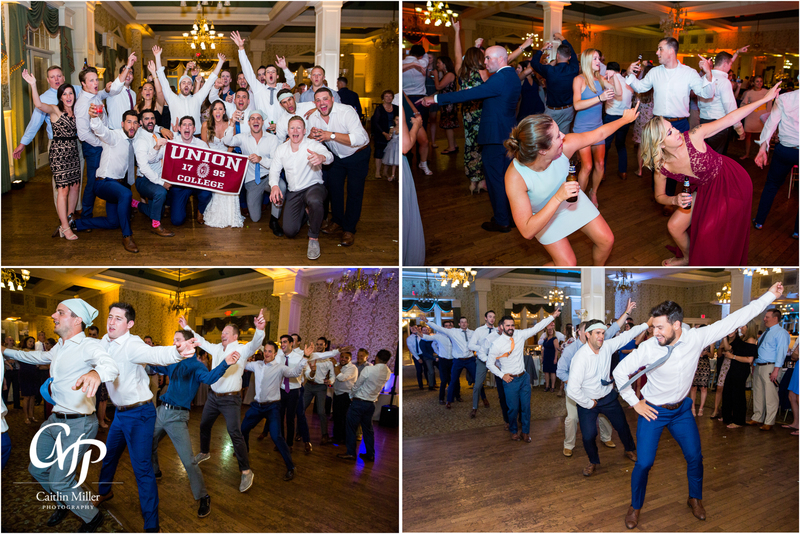 You know you have a good party when the entire Union College hockey team is in attendance! 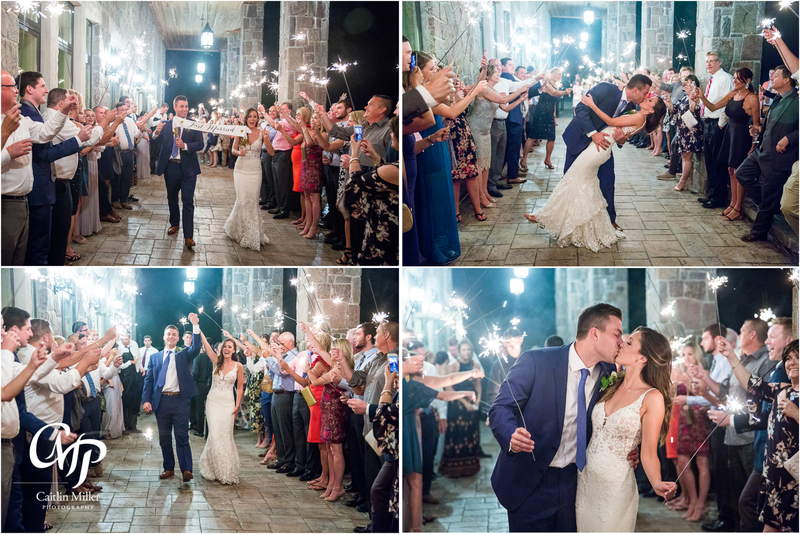 Devan and Cole ended the night with a dramatic sparkler sendoff – amid cheers and well wishes from their guests. 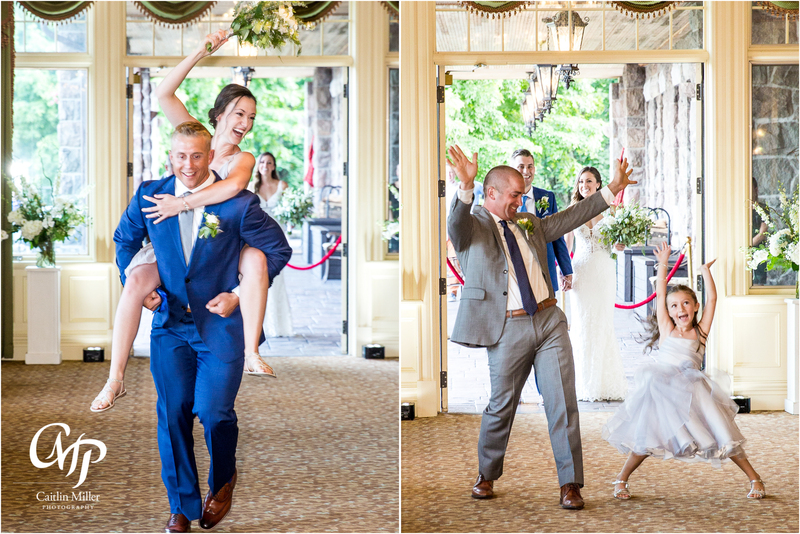 Best wishes to this happy couple!